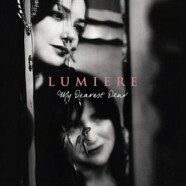 With My Dearest Dear, Lumiere are now confident in and conscious of the strengths of their own unique sound. This album is also one of stories. Those stories are brought to life through sensitive strings, clearly defined and individual narrative voices, catchy melodies and detailed production values. The big themes of love and loss, of place and people, of longing and lament, are present in this album, as they were in their debut. Lumiere’s strength though remains in the ability to be immersed fully in their local tradition of songs and strong people, and to communicate that to as wide and diverse an audience as possible, without diluting their authenticity. This album is an introverted extroverted kind of thing. It looks inwards and draws from the Irish and Kerry tradition, yet feels more consciously global in reach. Perhaps, that’s as a result of their extensive touring and of witnessing first hand how audiences across the Globe have reacted to the uniqueness of Lumiere. This in turn has allowed Pauline and Éilís to absorb up that international connection and allow it filter down into their own locally excavated influences. The songs are mainly drawn from the Irish tradition, but are historical in their sweep, featuring stories of rebellion and revolution, nature and nurture. The Wind That Shakes the Barley, for instance, has been reimagined with intimacy, reclaimed from the historical and returned to the heart. The Silver Tassie, Ye Jacobites, The Streets of Derry all continue that broad historical narrative. Carefully chosen contemporary covers include Sandy Denny’s Who Knows Where the Time Goes, which the peerless Sinead O’Connor contributes to on vocals. Her voice seamlessly fuses with the Lumiere sound and serves to underline further the global reach of this album and its intent. Suzanne Vega’s The Queen and The Soldier is another standout contemporary track, pitting personal liberation against regal influence through a strong first person narrative. Three songs on the album are drawn from the native Irish tongue of both singers. Bó na Leathairce (The One Horned Cow) encapsulates the west Kerry tradition Lumiere are steeped in. Cailín Deas Crúite na mBó (The Pretty Maid Milking the Cows), looks at societal structures from a different era, while Samhradh welcomes summers filled with laughter and love. My Dearest Dear, the title track, which Pauline learned from the late Tony Small when she was still a teenager, is a song of heartening personal loyalty. As with their debut, legendary record producer John Reynolds (Sinead O’Connor, Seun Kuti, Damien Dempsey etc) produced this album. He brought to it a broader instrumentation and helped define the music and voices even further. My Dearest Dear then is both a postcard from home and an artistic passport to a wider world. It is Lumiere at their most confident and vocally assured allowing the songs take the listener on an operatic journey of personal stories and historical dramas. From moments in time to deeply cherished memories, this album is the natural musical offspring from a duo undeniably different by being unapologetically themselves.